The Parent Teacher Association at Black Lane raise money to purchase additional resources and provide extra learning experiences for the pupils through various events and activities. Over recent years we have purchased a wide range or items from IT equipment to outdoor play frames and reading resources. The money raised also ensures that all children receive a present from Santa each year! All parents of nursery and reception parents are invited to join the PTA in the school hall straight after drop off on Monday 4th September to meet other parents over coffee and cake! In order to gather prizes for the events, the PTA organize non school uniform days throughout the year, requesting donations. By participating in events and donating towards non school uniform you are helping to raise the much needed funds for the children. Choose Black Lane PTA – Pentre Broughton as your organisation, then simply use the links on the easy fundraising site to access your chosen retailer when you are making purchases. Dragon Bags is a free fundraising scheme that helps schools across Wales raise funds through textile recycling. Our aim is to achieve our fundraising goals as well as diverting textiles from landfill at the same time. Fill up the bags as much as possible with the items listed- remember the heavier the weight the more money the school can raise. You will find the clothes bin located in the school shed area by reception. 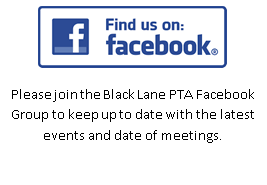 The PTA are keen to welcome any new committee members and volunteers. Should you wish to be involved, or you have a fund raising idea please contact anyone on the Parent’s Association committee. Please join us and help us to raise much needed funds to support our children!